Random Processes in Nuclear Reactors describes the problems that a nuclear engineer may meet which involve random fluctuations and sets out in detail how they may be interpreted in terms of various models of the reactor system. 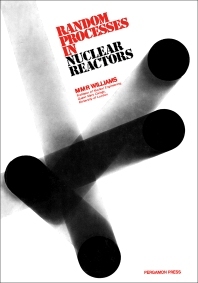 Chapters set out to discuss topics on the origins of random processes and sources; the general technique to zero-power problems and bring out the basic effect of fission, and fluctuations in the lifetime of neutrons, on the measured response; the interpretation of power reactor noise; and associated problems connected with mechanical, hydraulic and thermal noise sources. The book will be very useful to nuclear engineers.